Following Pink Floyd’s first three concerts in Japan during August 1971, the band embarked upon their maiden voyage to Australia. This initial trip “down under” would consist of only two shows: Melbourne on Friday, August 13th and Sydney on Sunday, August 15th. 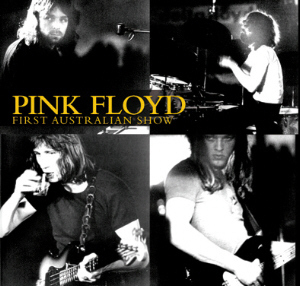 These would remain Floyd’s only appearances in Australia until January 1988 during the world tour in support of A Momentary Lapse Of Reason. 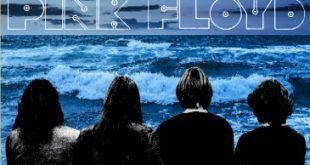 Pink Floyd’s first shows in Australia were originally announced in June of 1971 to the music press as taking place at the Dallas Brooks Hall in Melbourne on August 21st and 22nd, but reduced to a single performance less than a month later in the new advertisements for August 13th. It appears that quite a few people missed out on this fascinating performance, and apart from a couple flac files/fan-produced CDR’s such as The Big Pink: Melbourne 1971 (DFA-003) or No More Colours (SCS 007) it wasn’t well-circulated either, now thanks to the benevolent folks at Godfather Records, this concert finally will have an audience of avid Floyd fanatics, seeing as this is in fact, the silver debut of Pink Floyd at the Festival Hall! As per usual, this release is housed in Godfather’s trademark, tri-fold cardboard sleeve adorned with photos of the era and complete with background information on the show. The one detail that was printed in error is the date; the cover claims the show was September 13th, but it actually took place on August 13th – the covers had already gone to press before this was corrected, however I’ve been assured that if this release is repressed, it will be sorted out. Now, what of the actual sound quality? 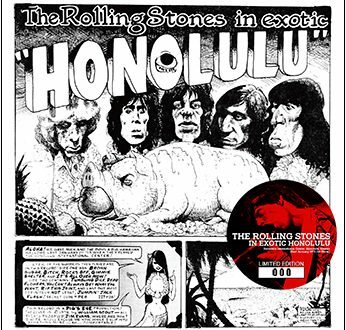 The fact is this release is essentially comparable to many of the other recordings from this era; it’s rather well-balanced, with all of the instrumentation and vocals perfectly audible. The recording is actually quite loud, and as a result there is a mild amount of distortion in places, but it doesn’t overpower the music. No hiss is audible and the audience is primarily quiet throughout the performances, however there is a bit of phase shifting at times, which in truth, works for this era of Floyd! Ultimately, though Godfather themselves might consider this to be of slightly lower quality compared to their legacy of fantastic releases and unusually high standards, First Australian Show is at the very least on par with a good number of Highland or Siréne releases, and quite frankly, better than some of the other recent titles covering the 1971 era. “Atom Heart Mother” is complete with introduction, and sounds appropriately massive in this venue; it appears the taper was a slight distance from the stage given the “size” and fullness of the recording. This is the small band version as the expense of transporting or hiring a brass ensemble and choir was prohibitive, however more often than not, this arrangement is preferable, such is the case here. The result is a powerful epic that isn’t lost upon the audience, who cheer wildly at it’s conclusion. The only flub is at 2:29 where Richard Wright accidentally hits an extra key on the Hammond, but he proceeds without acknowledging it and more than makes up for it effortlessly harmonizing with Gilmour during the haunting melody passage and really sinking into the organ for the “Funky Dung” section. 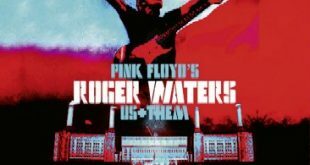 Unquestionably, “Careful With That Axe Eugene” is a highlight of this performance, simultaneously beautifully lush and frighteningly intense; the natural reverb captured on this recording is ideal for Wright’s organ, Gilmour’s mournful vocalizations, and most importantly Roger Water’s blood-curdling shrieks and screams. Things do get a bit chaotic sonically after the main climax but balance out again in time for some killer Nick Mason rolls and fills. Personally, I’m going to rank this rendition among my favorites. The growling and roaring of Richard Wright’s Hammond at the beginning of “Set The Controls For The Heart Of The Sun,” is something you’re more likely to hear from the likes of Jon Lord; I’m not sure if I’ve ever heard Wright overdriving the organ this hard on any other recording! In fact, I’d say that this performance is another worthy tribute to Wright, who really dominates the whole of this version of the song….from the hypnotic verses to the celestial outer realms in the free-form bridge (also dosed with more overdriven Hammond!). Like the previous track, this song almost always benefits from a spacious recording, and it’s extremely interesting to hear Wright so prominently in the mix. The only slight drawback to this recording is a fairly continuous, faint conversation taking place in the background that is a minor distraction during the softer passages (especially with the headphones on). There is a series of short fades and cuts during the tune-ups prior to “Echoes,” but fortunately no music from the actual song is lost. The lyrics are different from the album version, despite the fact the majority of vocals for the Meddle LP had been laid down the month before (according to Fitch’s encyclopedia anyway)! Once again, the acoustics of the hall really lend themselves well to the “seagull” section – between the wind, Water’s trippy slidework on the delayed bass, and of course Gilmour’s seabirds it’s simply otherworldly awash with the natural reverb. Wright’s organ dominates much of the triplet section that follows, and Water’s bass generates some distortion…which in this particular case is VERY cool…almost Moog-like and actually a compliment to this recording! Another very subtle cut is dealt with before “Cymbaline,” but unless you have headphones on, you’re not likely to notice, and as with the others, it’s dealt with professionally. The really interesting aspect of “Cymbaline” on this set is the prominence of the organ once again, and I feel as if I’m hearing harmonic structure that I was never aware of previously, despite having heard the song thousands of times! Also curious is how Waters’ backing vocals are louder during the chorus than Gilmours – this of course yields a couple questionable notes, but also a power that is rarely heard in this song. The murmurs in the audience contribute in a positive way during the “footsteps” section, as does the spaciousness of the recording. The taper nudging the record button at 7:35 however, does not – but also doesn’t result in a complete cut. The band’s re-entry is a bit timid at first, but rounds out rather nicely again for the conclusion. Overall, I’d say this is one of the more interesting versions of the song available, and another highlight of the show. Of course, at this point one can only curse and whine given the fact that a complete recording of the encore “A Saucerful Of Secrets” would probably sound fantastic given the overall characteristics of this source. That being said, it would be even more frustrating to have a tantalizing snippet only to be cut off short (again), so I appreciate Godfather’s decision to omit the existing excerpt – not only because this approach results in less trauma, but also because it keeps the price of this release down to that of a single disc, and I imagine most collectors will appreciate THAT! 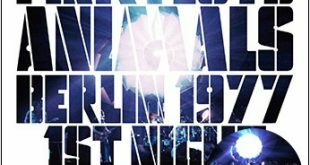 In summary, First Australian Show was something of a surprise really; for some reason I was under the impression it was going to be a rough listen, but in reality, it’s full of savory details and marred only by some mild distortion that, ultimately, I tuned out, having been pulled into this rich, atmospheric delight of a show. OK, fair enough, maybe it is a notch below the usual master-tape, soundboard, might-as-well-be-an-official Godfather release, but this is a damn fine release for the vast majority of us, and further, I hope that Godfather continues to take more chances like this. At the very least offering both the “usual” ultra-high grade audio and the slightly “riper” items (especially if rare or unreleased) as well. If you’re a Floyd fan or collector, don’t even hesitate about picking this up; first of all, because it’s a silver debut, secondly because it’s a GREAT silver debut, despite not being “perfect.” Casual collectors: look, there are so many vastly inferior releases from this era…if you’ve already gotten the essentials, you certainly could do A LOT worse than this, and chances are you’re not going to dig up anything other than a Godfather release with packaging this nice to boot. Recommended! at last, at a local fair i located a copy of this, it seemed very elusive to find and now i know why, a really nice surprise from this label again, and once again a silver release of a very rare show: thumbs up for this great label! we are always in need of this kind of great stuff!! This release is a pleasant surprise for someone such as myself who has never been much into the pre DSOTM Floyd. I rather enjoyed it and hell I even recognized a few songs. Thanks again…. Glad to have this in my Floyd collection, I really enjoyed this. A nice choice by Godfather and again superb packaging. 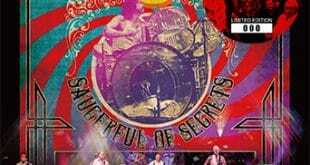 Maybe Godfather could include the “A Saucerful Of Secrets” fragment as a bonus track on a future Pink Floyd release. This is another great Floyd release from Godfather. Amazing this has never been pressed to silver until now. I’m looking forward to receiving mine soon. Thanks a lot for including the lengths (playing times) of each individual track, which I’ve done for each of the Floyd CD reviews here that I wrote myself. And it’s great to finally have an Australian show on factory-pressed original silver.